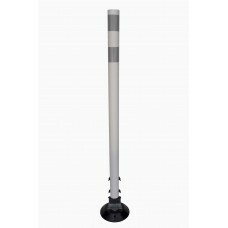 Impact-resistant tubular surface mounted post with 360 degree visibility. 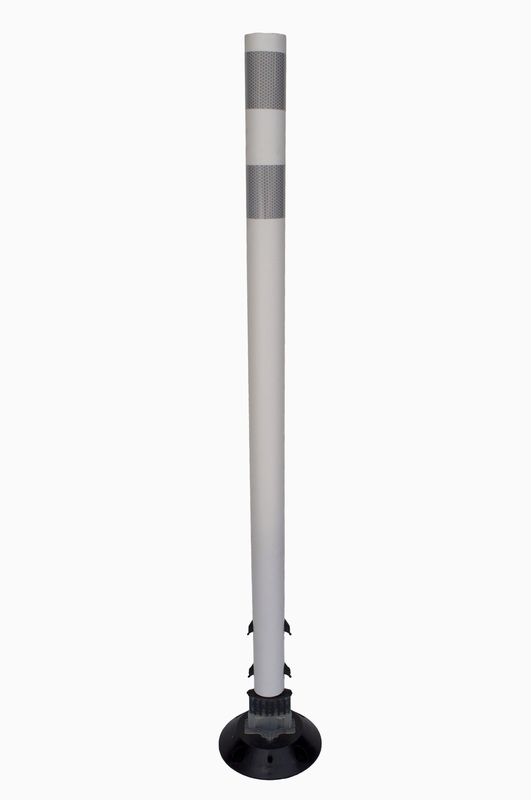 Available heights: 24", 36", 48". Available colors: white, orange, yellow. Four part assembly: post, core and hinge, base, and pin.